We’re often asked in the shop about succulents that can be placed outside in UK gardens all year round. It’s kind of a tricky one. In our climate they get too wet, a little too cold and often just start to rot. We have however grown Echeveria Miranda and Haworthia Fasciata succulents in our window boxes at home. They are very much under cover though, receiving hardly any rain. They cope quite well and are producing loads of pups. 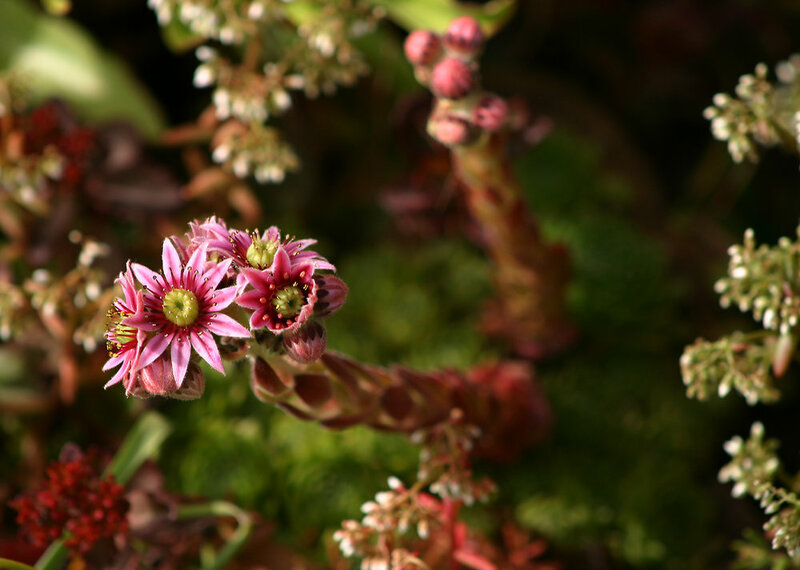 If you’re looking for something with a little more guarantee then go for Sempervivums. How do we use sempervivums? We have people bring outdoor vessels often into our north London terrarium shop for potting up. Below is a wide terracotta bowl brought in by a customer. We paid up some sempervivums and sedums together for a hardy but interesting display.